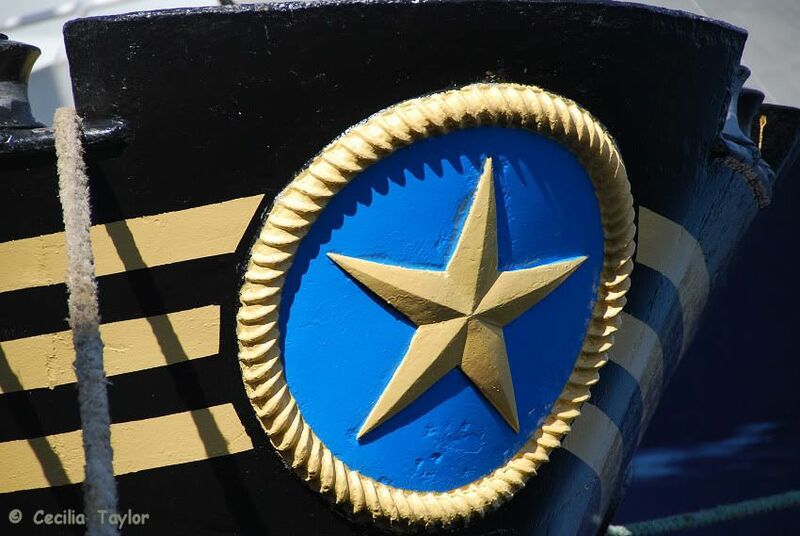 Last Saturday, she was returned to the wet element after a dry docking here in Bodo (she had two underwater damages repaired, some painting and sandblasting done). Already the same evening, there was a party held on board the ship in the wonderful evening night! Thanks for giving Salten a new life here at our new forum. I knew you would find her when you came to Bodø, Jan-Olav. 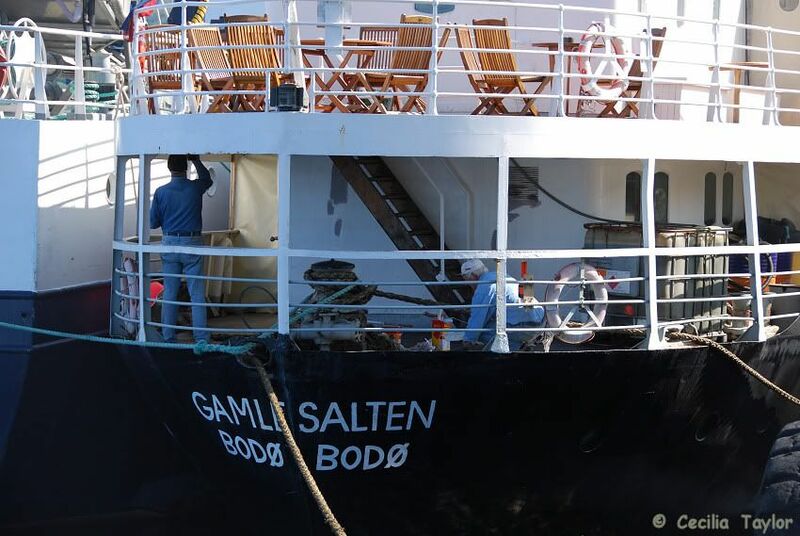 Even if she was serving and sailing in Hurtigruten several years, she is well known as a "Local Hero" in Bodø and Nordland. 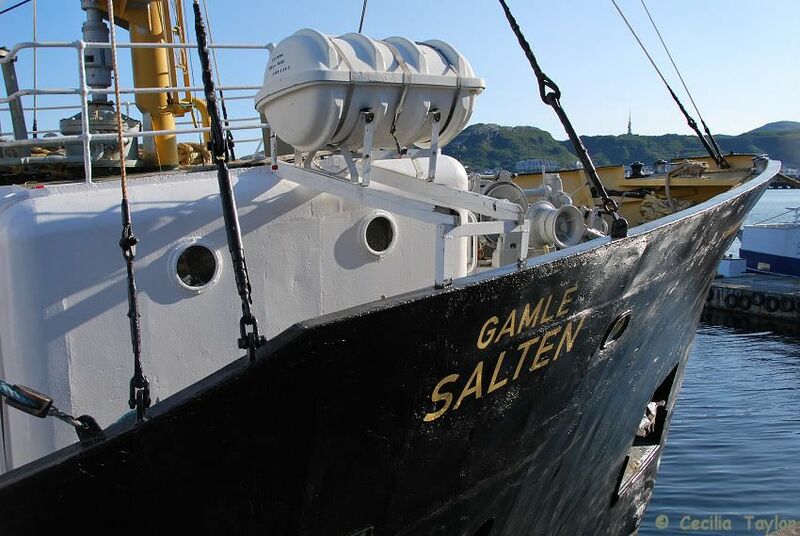 For me who is born and raised in Kristiansand, "Gamle Salten" is mostly known as schoolship "Sjøkurs". Own by Sørlandets Sjøaspirantskole. I want to post an image of her as "Sjøkurs". This image is from her old "home" in Tømmerstø, just east of Kristiansand in 1993. 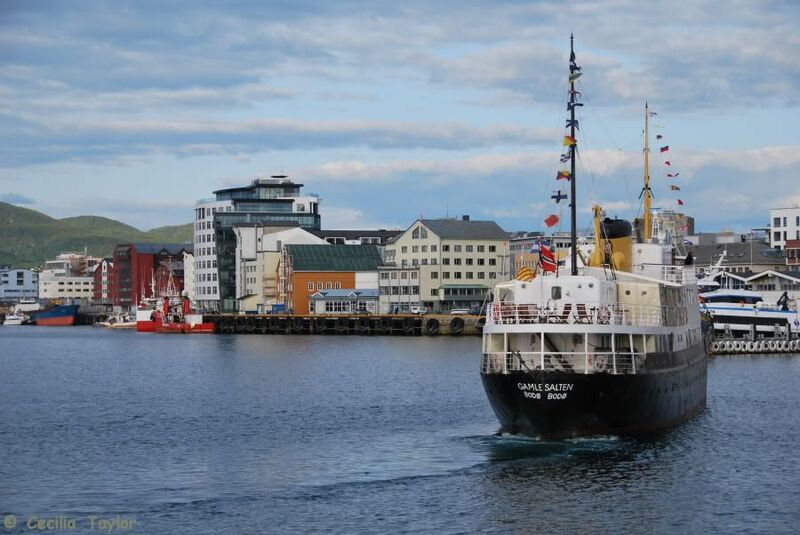 The Hurtigrute "Ragnvald Jarl" (1956) has now taken "Saltens" place in this spesific harbour as new "Sjøkurs"
Last night she was also out on a charter as we returned back to Bodo from our last trip out to the islands. Here is a test for sharp eyes... in this image of Gamle Salten taken on July 30th 2009 in Bodø, what is different from earlier images? There has been some painting and she now has black right up to the top at the bow. Look how beautifully the detail has been repainted. They were still busy with paintwork. Here is an image taken at Stavanger on June 17th 2004. Two more photos taken on the 7th July, two days earlier than my others. Although it is difficult to be sure in the rather flat overcast evening light, it seems that apart from around the bow and the ship’s name, the previously white strip is lighter than the rest of the black hull; is that the “blue skirt “you mention? At the time I couldn’t decide whether this was the final colour or whether it had only got as far as having an initial undercoat of paint and would end up black, but I think I can still make out the two-tone effect on your photo in Bodø. I absolutely agree in preferring the new look. 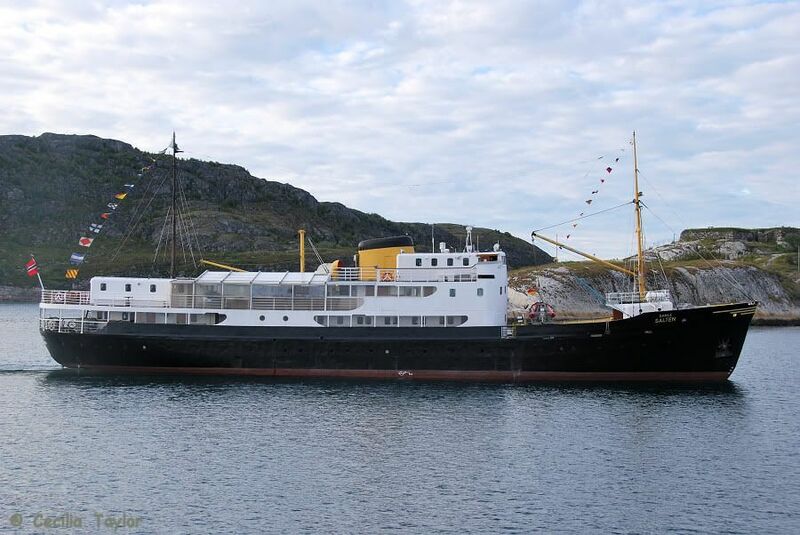 She is a wonderful sight to see around Bodø, and it is great to see that she is being taken care of. Here is another difference. The rowing boat, here down on the left side. If you sail very near to another boat, you can shake hands with the Captain. What a delightful photo Eilun. (Well, all your photos are, but I was thinking about that shaking hands one.) 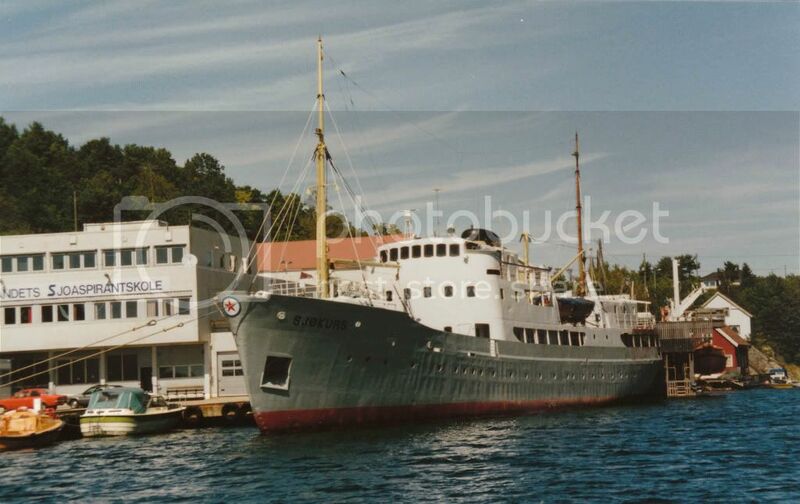 Was the other ship Sjøkurs - I was trying to relate the photos to those in Sjøkurs thread. And trying to work out where they moved the rowing boat to. Last edited by Seagull; August 11th, 2009, 09:33. Yes, the other ship was Sjøkurs. The only way to visit Gamle Salten was a walk about Sjøkurs. Clearly I used this short connection. Some new rescue boats are useful, I think the wooden boat from Sjøkurs is not enough. Such wonderful interior pictures – all that warm-wood-cosyness, and the homely touches like the check patterned cushion on the bridge! And then the unforgettable image of “The Ship at the end of the Rainbow”. . .
Back in 2015, I visited Gamle Salten at her post in front of Lofoten at Bodo. She did not look in good condition compared with 2009 photo above.